Manop Mayer is 23 years old and lives in Apha Village (an Akha hilltribe in the Chiang Rai Province of Thailand). Manop is in his second year of school at Chiang Rai Rajaphat University, where he is studying community development. 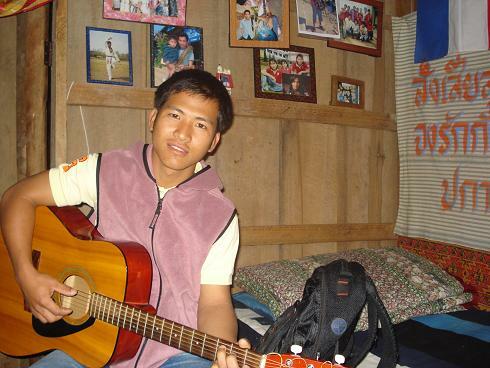 Before going to university Manop attended vocational school where he studied mechanical engineering. It is then that he decided he wanted to continue with his education and go to university. Thanks to the generous support from fundraisers in Japan, Manop can now pursue his dream of attaining a higher education. ◆In what subject are you most interested in you studies? ◆Are you currently involved in any special activities as a second year university student? I help draw up social science curriculums for first grade classes, as well as gather first grade students in groups for reading time. This program is a great experience for me. It helps me learn how to bring up and educate the younger generations in our society. ◆What do you do when you come to visit The Mirror Foundation every week? I often use this time to visit Akha and Lahu villages and collect data. Once collected, I summarize and organize the data into documents. I also accompany The Mirror Foundation’s volunteers when they go to teach and I help them by translating from Thai or Akha to English. ◆Does helping with The Mirror Foundation’s jobs have an affect on you? Whenever I visit the villages I learn about the various problems they face and am challenged by helping to solve these problems. ◆Although there you have two more years of university to go, what kind of future do you visualize for yourself? I would like to gather the members of younger generations in the villages and carry out activities for community development. 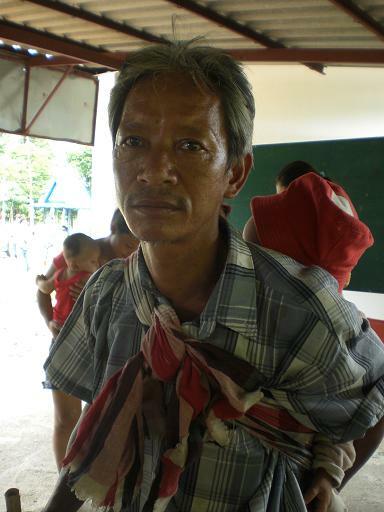 The hilltribe people face many problems that have yet to be eliminated. One such issue is that concerning human trafficking. As of now, we campaign and perform at many villages with the intention of guiding the hilltribe people to think about the problems they face and how to try and solve them. It is my goal to motivate each person to think about their own future and how make the best of it. Manop is an outstanding asset to The Mirror Foundation. He is a Scholarship Student leader and serves as a great example of the Mirror Foundation's Scholarship Program. I will introduce a new topic. Our project," Hilltribe Children Fund Project" have been working for a children. But if urgent will be happend, we will support it not only for a children but for an adult or a family unit. Now, today I will talk of a Akha hilltribe family. Their village is close to the elephant's village Rouemmit village. 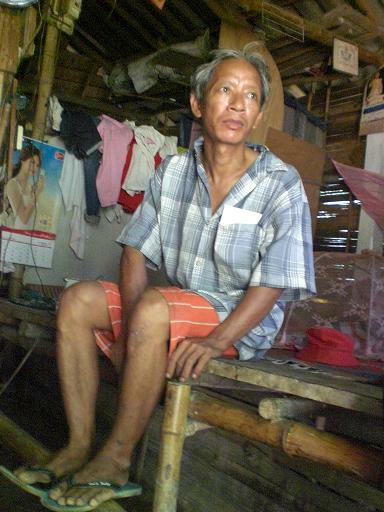 Mr. Chegong's family lives in the village which is Fuesangong village of Akha hilltribe. Father (Mr. Ache) is 48 years old. The symptoms of HIV (AIDS) are shown,already. Before symptoms develop,he worked on the daily-hire construction at ChiangRai town. For Mr.Ache,it is defficult to walk with no cane because of aggravation of HIV's the early stages. It was becoming seven months ago. All the day,he almost bedridden state with fever and giddiness. Since he stopped working, his wife (Mrs. Miebar)have to support the family's life. His wife is doing work of tea picking in the nearby plantation. However, Miebar's income is 130 bahts per day, with all her strength. After deduct the children's expense of bringing up a child, daily foods cost, and also transportation expenses (gasoline cost for going to Miebar's working place and send Mr. Ache to the hospital) , it will not remain at hand nearly. They are a 12 year-old girl, a 10-year-old boy, and the boy that just became 1 years old. Although two older brother and sister go to the elementary school, they are in the situation which daily lunch cost, uniform cost, textbook cost, etc. cannot pay all. Furthermore, Mr.Ache have to take care of the youngest child instead of his wife. However, father is the sick body. It is very serious for his own body not to move well. His village,Fuesangong,there is no child care center.Because the village is too small. Although this child's milk cost must also have to manage. They are terribly perplexed by their problem. But now, by the staff of the mirror foundation,they obtained to solve this problem. That's why we decided to support Mr.Ache's family for transportation expenses for going to hospital regularly, a child's milk or money which purchases milk and expense for two older children's school. We are receiving emergency assistance money for this family. Inquiry about support ,please contact here. Though I introduced the report last time. He is Mr.Ache Chegong at Fuesangong village which is Akha hilltribe. Mr.Ache is invaded by HIV. Hestay with his wife who working daily-hire,two children who going to elemetary school and unweaned child. This family is very poor and they need help. We appealed about supporting Mr.Ache's family on this web page last time. After that,many of supports came. And it was supplied in ten months at present. We inform you that it means to support Ache's family was ready. One day,we visited the village to tell about the detailed purport of support. 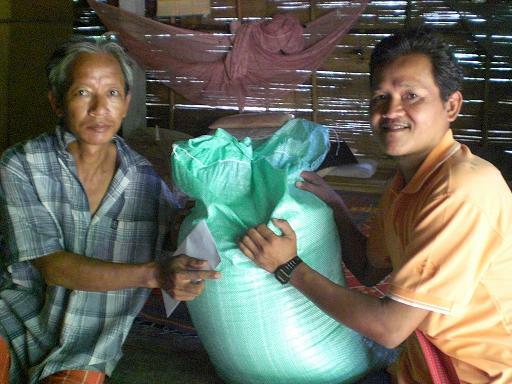 The rice handed with the received support money. Although, as for Mr.Ache's condition, giddiness still continues. It rises in the daytime. But he is looking after the youngest child everyday. He go to hospital 1-time per month and get the medicine for one month and the doctor said to him that continue to taking medicine. The mirror foundation,Hilltribe Children Fund project decided to support Mr.Ache's family for over ten months The total of support fund was correcte about 10,000 bahts. We appreciate for your help.